Microsoft recently release guide how to move SharePoint databases to different database server. Recently i come across Data Synchronisation (Commercial) tool between SQL Sever and SharePoint List. Data Synchronisation Studio is a powerful application for publishing business data directly to SharePoint Lists from SQL Server Tables and Views, Oracle, MySQL. Data Synchronisation Studio is the de-facto solution for integrating and migrating business data with SharePoint Server WSS and MOSS. There is also a Visual Studio 2008 AddIn to support these chart controls. The Chart Control Samples. Single Sign on feature SharePoint, provides authentication to systems and group or individual basis. The SSO service handle authenticating a user against a backbend system so the user is not prompted to login. Excellent! 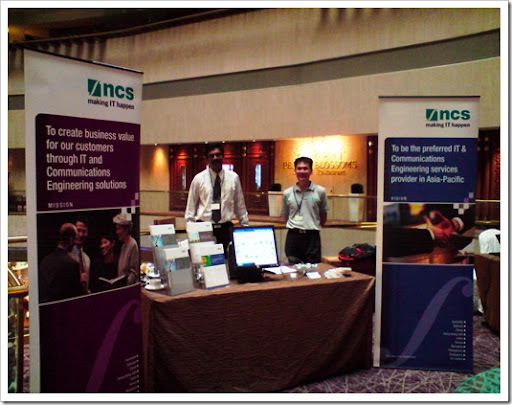 article by Mr. Robert L. Bogue MVP, explain how to configure Single Sign on feature on SharePoint. 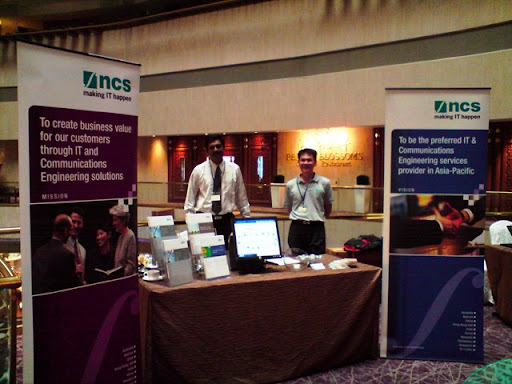 Last week 26 February 2009, 9am - 5pm @ Marina Mandarin Hotel, Vanda Room Level 5, We (NCS) setup booth to showcase NCS capability on Lotus Notes to SharePoint Migration.